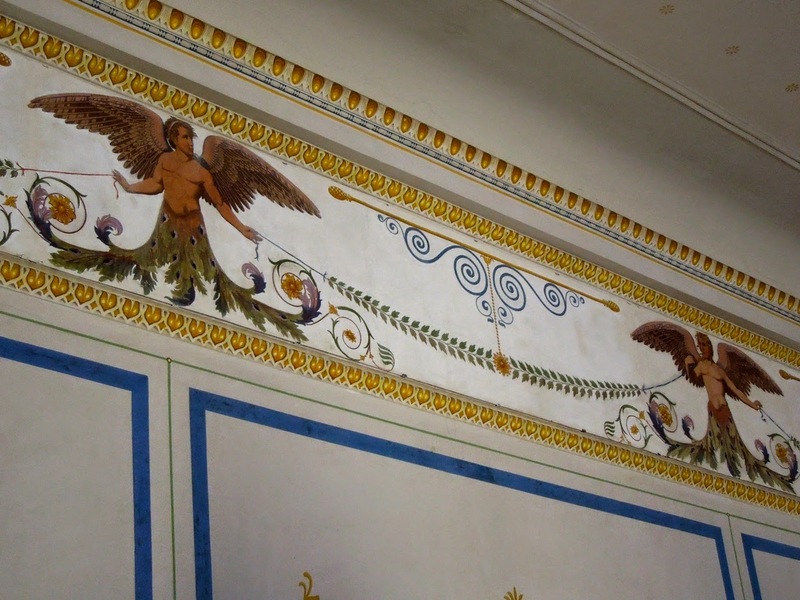 After my last post on Sanssouci many of you expressed your distaste for the Rococo. 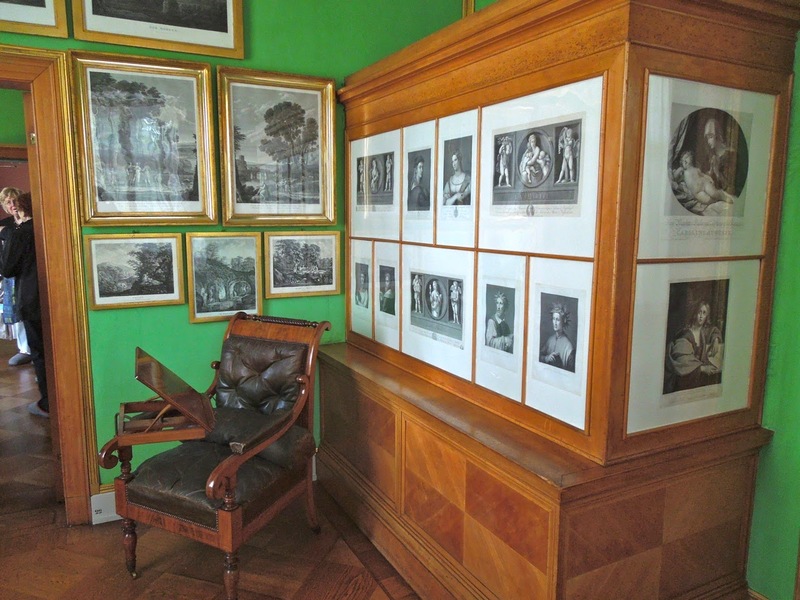 I thought I would share with you some photos sent to me by my Australian penpal of the neighboring neoclassical Charlottenhof Palace. King Frederick William IV of Prussia shared this distaste and had the fantastic neoclassical architect Karl Friedrich Schinkel renovate an existing farmhouse on the Sanssouci grounds into a staid palace for his family. 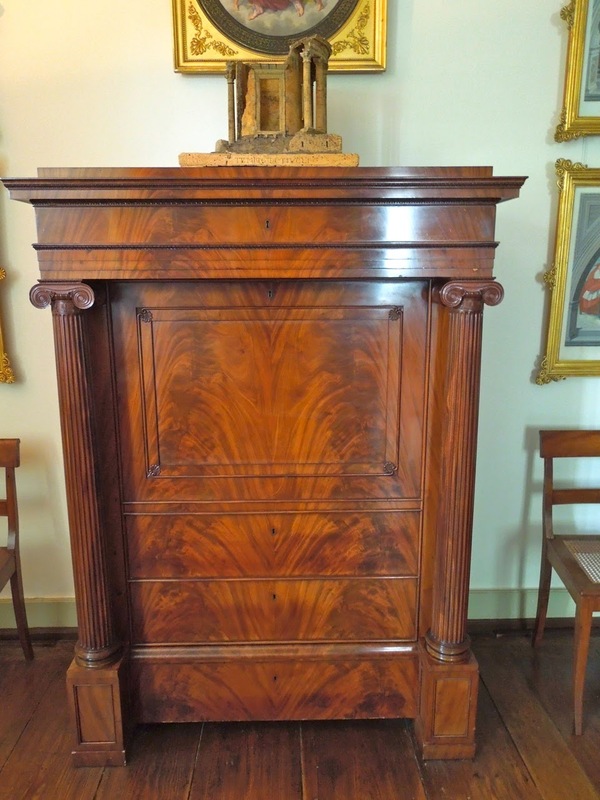 You may recognize this secretary and chairs designed by Schinkel from my earlier POST on the book on Potsdam. The palace only recently reopened after a long restoration. 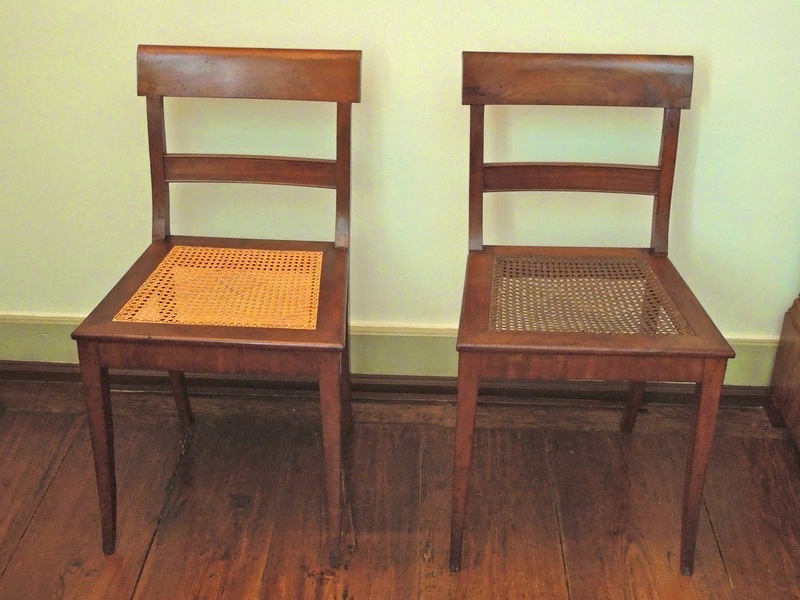 Notice the chairs above -one with older caning and the other with brand new replacement (which will age and darken over time). I think designer Miles Redd would appreciate these red leather studded doors. Notice the fixed transom panel above the open lower doors seen above so that the height visually matches the adjacent taller doors. 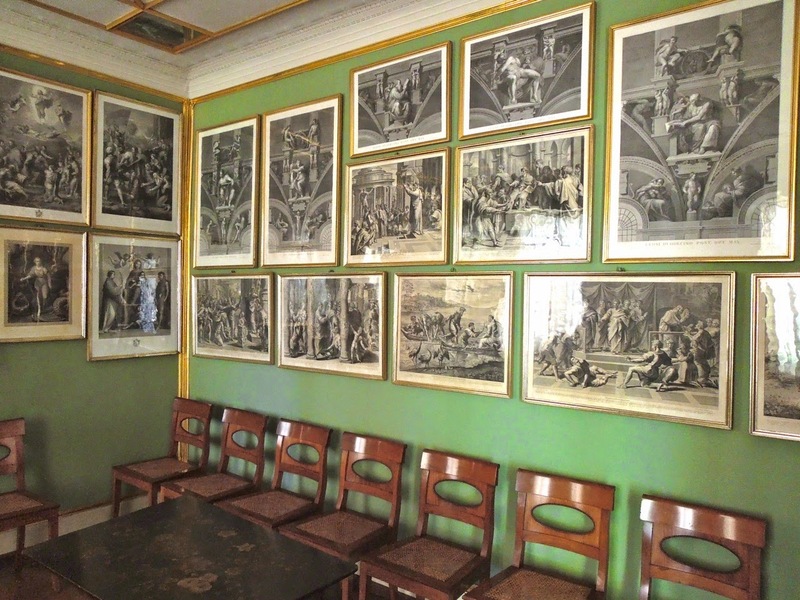 Let us not forget that things are rarely new....gallery walls might be trendy now but have been around for centuries! I love the gilt bands framing each separate wall plane - a technique designer David Hicks was fond of using amongst others. 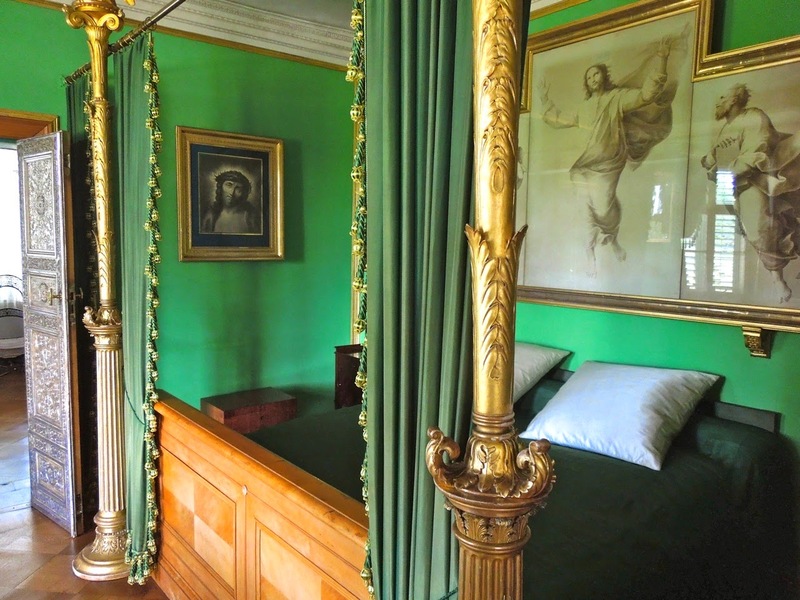 To my eye having such a luxurious gilt bedframe with staid religious iconography is odd but fitting. 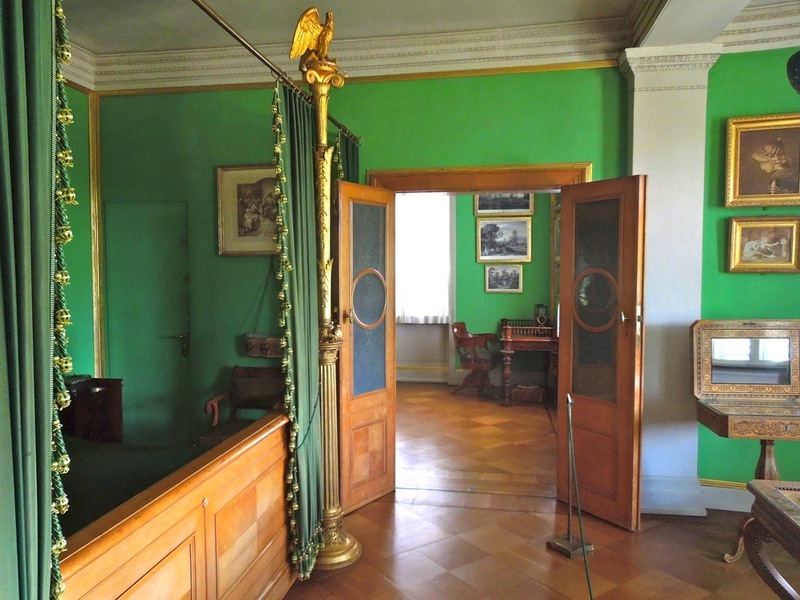 Notice the jib door hidden in the green fabric lining the walls to the left of the photo above; Service door or perhaps a bathroom of sorts? The silver leafed door is stunning. 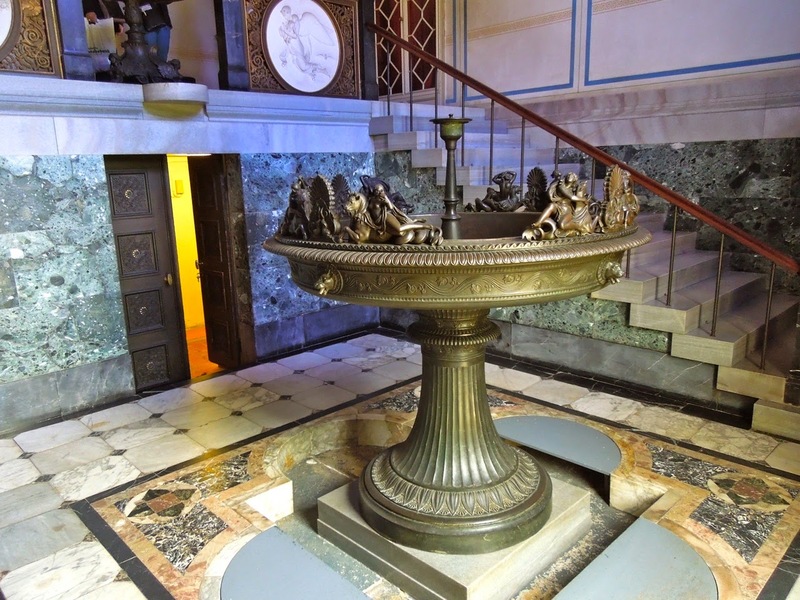 Designers were matching silver and gold 2 centuries ago! The reading chair above would have been a comfortable place to sit each evening. This beautiful collection of green glass would be one I would love to bring home with me! A tented bedroom with simple striped fabric makes a big statement. 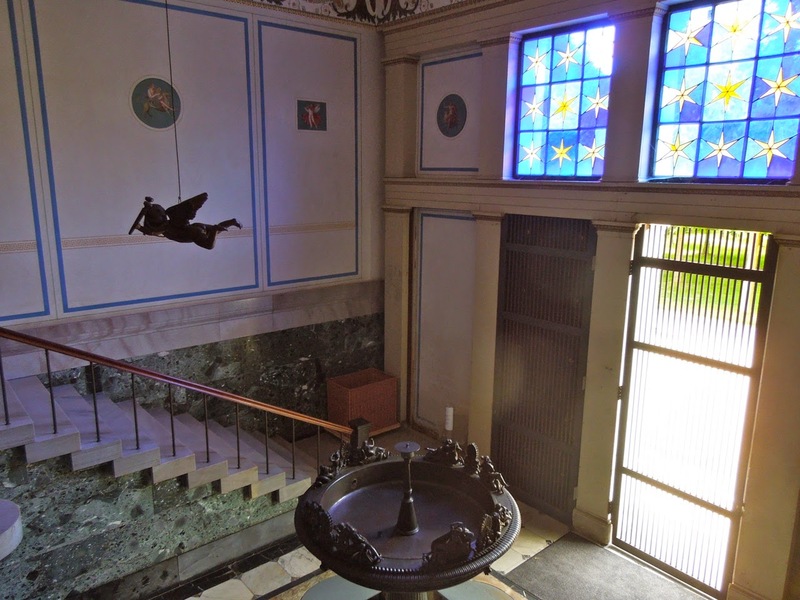 While the rest of the structure is simple as shown the entryway was still designed to impress. This was the palace of a king afterall! 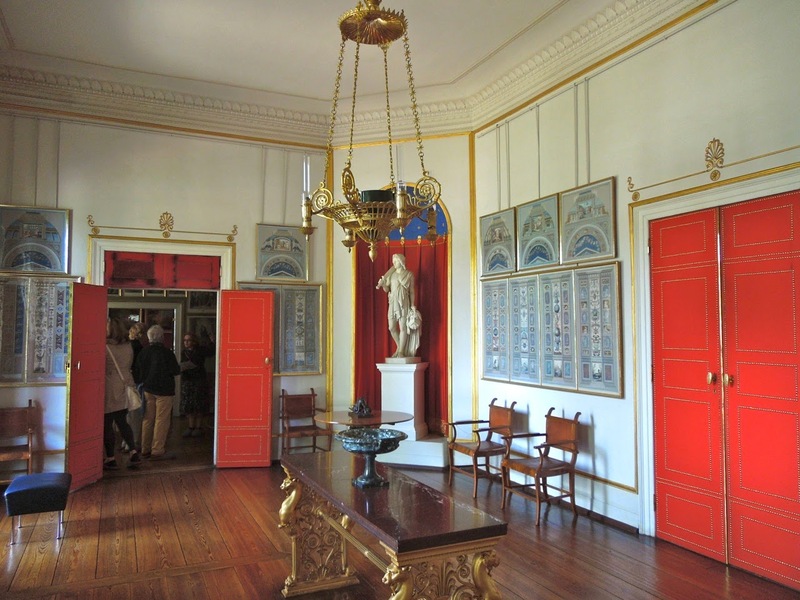 I hope you enjoyed this rare look into Charlottenhof Palace in the Sanssouci gardens! I like it all! 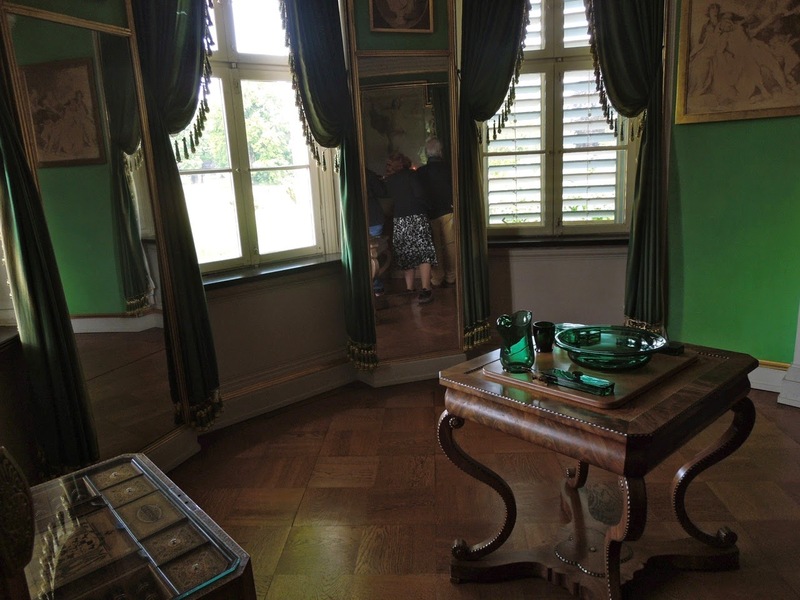 Especially the malachite green walls and the gilt mouldings surrounding each wall. 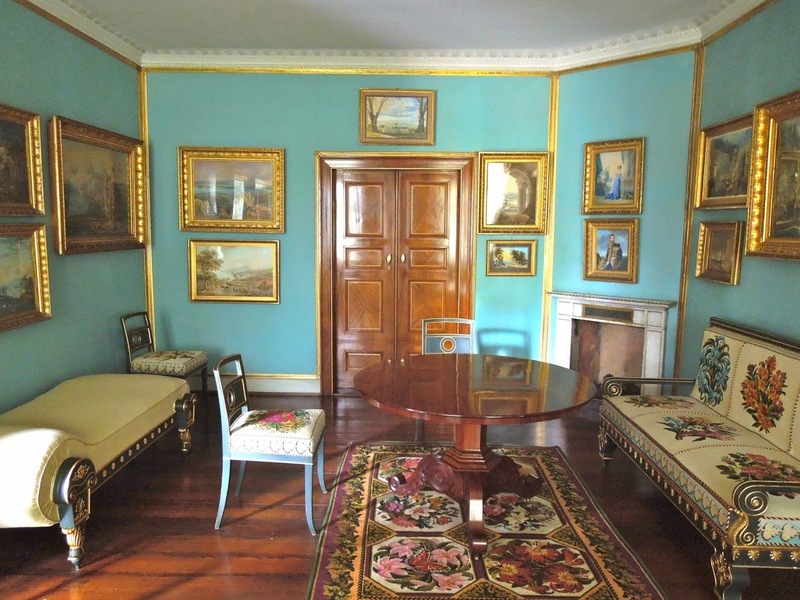 I've been trying to finish the gilt mouldings in my own bedroom for years now. Stefan so interesting to see the differences in this palace. 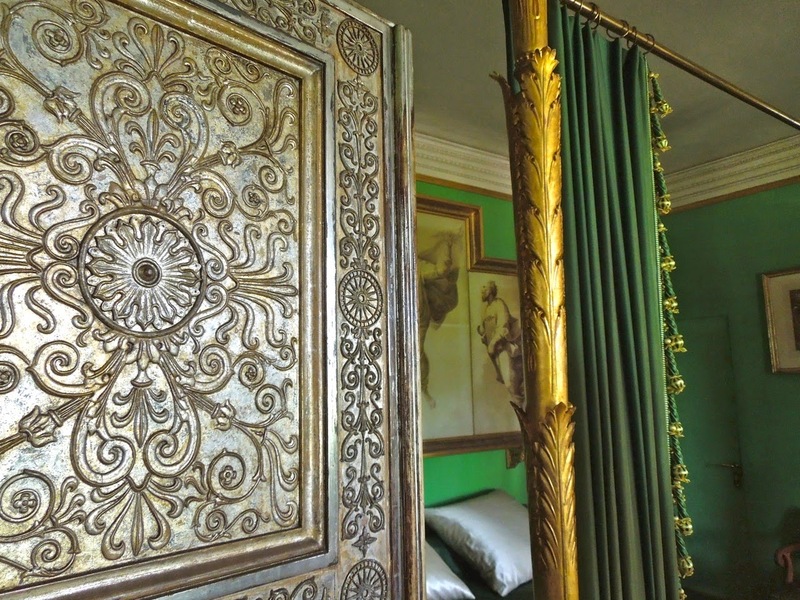 I love the silver repousse and that glorious green, even the tenting! 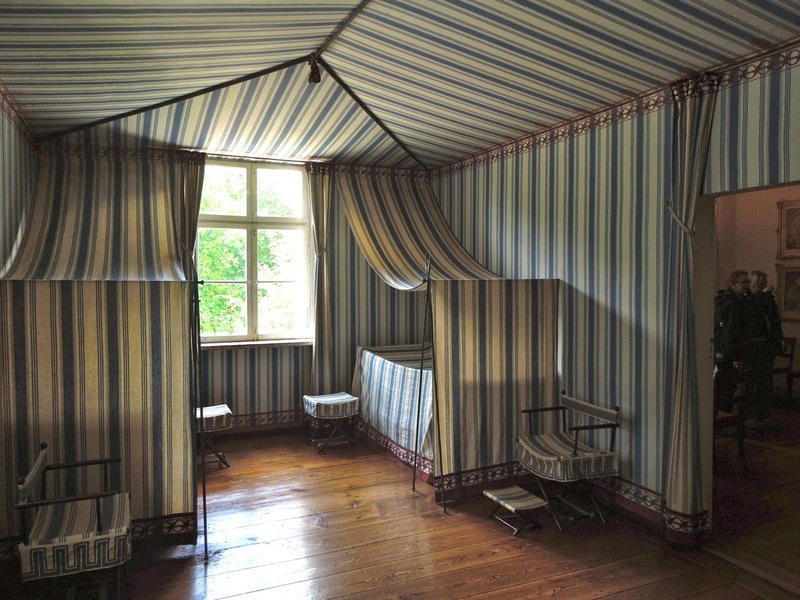 I had read in one of my books on Schinkel that the tented room was a guest bedroom, and that Schinkel himself stayed in it on occasion. This post is brilliant beyond! Please know that there are many of us who hunger for these beauties! You are a wonderful resource for beautiful things! YIKES!!! ps good idea about "anonymous" they are spam; and sometimes truly cruel!!! Maybe Miles Redd saw this! And "jib doors" are just about my favorite! Our house in Pasadena the lady who built it in 1957 brought all this divine boiserie from France! 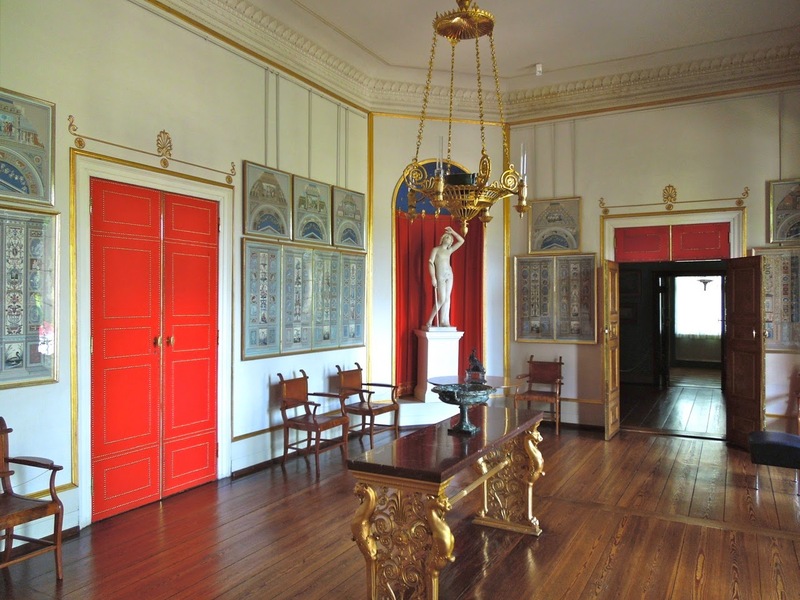 The entire "main room" had hidden bookcases......and a sublime "jib door" to the bedroom! I was a "lucky duck"!! We copied much of the floor plan when we moved to Montecito.....should have done a "jib door"!! !